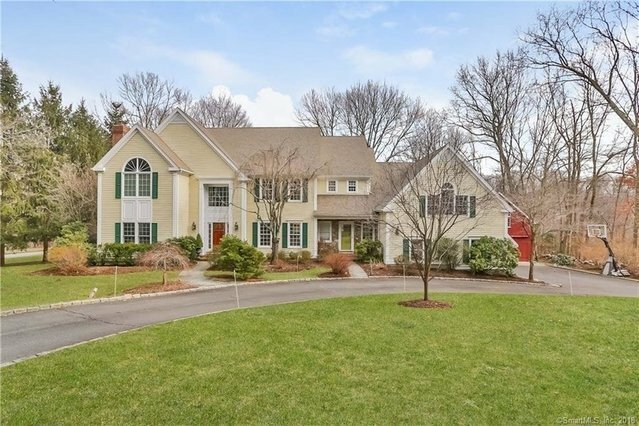 4 Winds Farm is a private enclave of 24 homes in lower Wilton. The setting is idyllic and just minutes to everything. This lovely colonial awaits its new owner who will proudly be able to call it home! The property includes a big red post & beam barn w/ 2 bay garage, the ultimate ma'am or man cave! Other highlights include: open concept floor plan w/ a large kitchen/family room. Two story foyer, 9' ceilings, hardwood floors, oversized windows. Spacious master suite with new bath and 2 W/I closets. Finished walk-out LL w/ built-ins is a great play or media room and also has a gym. Fabulous bonus room with vaulted ceiling is steps away from the kitchen. List of upgrades includes entirely new HVAC system. Welcome!